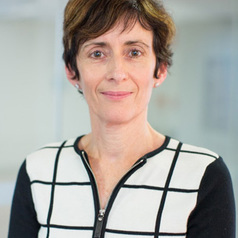 Fiona Orr is the Director of International Activities in the Faculty of Health at UTS, and is a lecturer in mental health nursing. She is a registered nurse who has extensive experience in the tertiary education and health care sectors, and she is a member of the national management committee of The Mental Health Services Learning Network (TheMHS). Fiona has developed innovative approaches to teaching and learning that have transformed nursing students’ experiences in mental health education. In 2013 she received a UTS Learning and Teaching award, and in 2015 she received an Australian Award for University Teaching, for 'Transforming mental health nursing education through innovative simulations and collaboration with mental health consumers'. Her research interests include voice-hearing simulation to increase nursing students’ empathy and self-efficacy to communicate, live simulation and therapeutic communication, and the impact of horticultural therapy on recovery from mental illness.